Echo Investment obtained the BREEAM Final certificate for the second stage of A4 Business Park. Also, the developer acquired a bank loan to refinance the entire project. The building obtained a „Very Good” grade and a score of 67,9 percent. The second stage has been previously given the BREEAM Interim certificate at the design stage. „All the three buildings of the office park obtained the certificated at the design stage. In order to acquire the final certification you need to fulfill requirements declared at the design (interim) stage – construct the project correctly, diligently fulfill the procedures using appropriate, ecological materials. The BREEAM Final was already received by the first stage of A4 Business Park and now we can celebrate the Final certificate for the second building” – said Katarzyna Murdoch, BREEAM engineer and BREEAM International assessor at Echo Investment. BREEAM is an evaluation method for buildings with regard to their eco-friendliness and comfort of future users. The buildings score points. The points acquired are converted into percentages which in turn are multiplied by the weight attributed to a given category. The points ultimately provide a score in a six-step scale: <30% – Unclassified, 30% – 44% – Pass, 45% – 54% – Good, 55% – 69% – Very Good, 70% – 84% – Excellent, >85% – Outstanding. The most popular types of certificates are BREEAM Interim (the design stage of a project), BREEAM Final (confirmation of a design) and BREEAM In-Use (an existing building). A4 Business Park is being developed on Francuska St., near an exit from A4 motorway. A4 Business Park consists of three buildings. The first building (9 000 sq. meters) and a multi-storey car park offering 560 spaces were completed in Q1 2014. The 7-storey building offers the area of 9 000 sq. meters and it has been fully leased by the IBM IT concern. 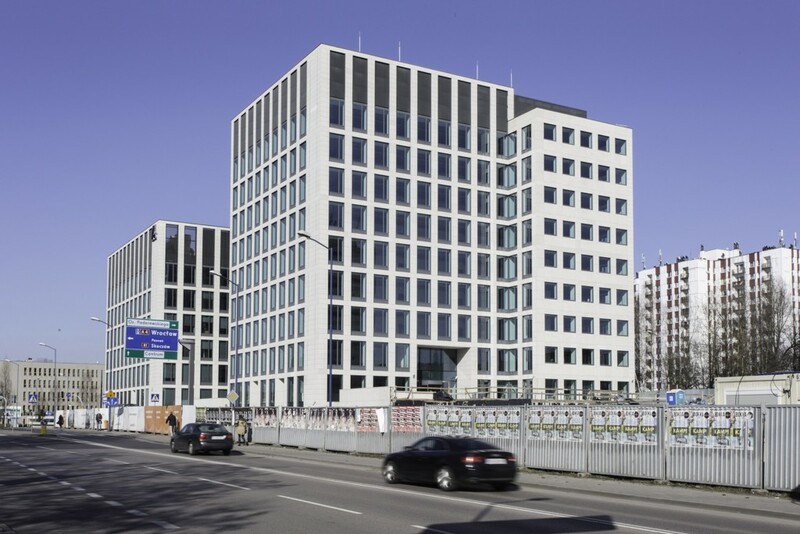 The second stage of the project was finished last year and involved the construction of a 10-storey building with an office area of approximately 9 000 sq. meters. It is occupied by PKP Cargo. The third stage (12 000 sq. meters) is under construction now and will be delivered in Q3 2016. The anchor tenant will be Rockwell Automation. Echo Investment also informed that had concluded a loan agreement with the Berlin Hyp AG and ING Bank Śląski banks, which is worth nearly PLN 600 million. The acquired funds will be used to refinance Echo’s four office projects: Malta Office Park, Park Rozwoju, West Gate and A4 Business Park. „It is one of the largest loan agreements in the history of Echo Investment. It is also another step in the implementation of our strategy which involves grouping similar projects and their joint refinancing. Such a solution considerably reduces the costs of day-to-day service of the projects” – commented Grzegorz Iwański, director of Echo Investment’s funding department.